Is your website speed putting the brakes on your revenue? Website speed has been shown to have an important effect on three distinct factors: visibility, conversion and customer satisfaction. Today’s average user has high expectations when it comes to web browsing: over 47% expect a web page to load in just two seconds or less. According to Hubspot, if your website takes more than three seconds to load, you could be losing up to half of your traffic. In addition, Google takes your website speed into consideration when ranking your web page among others. Low performing websites rank lower in Google results and can foil your SEO efforts. Faster websites tend to see higher conversions. A website conversion means your visitors do what you want them to do, whether it’s buying a product, subscribing to a newsletter, or watch a video. Studies on website speed have proven that a slow website is jet fuel for lower conversions. 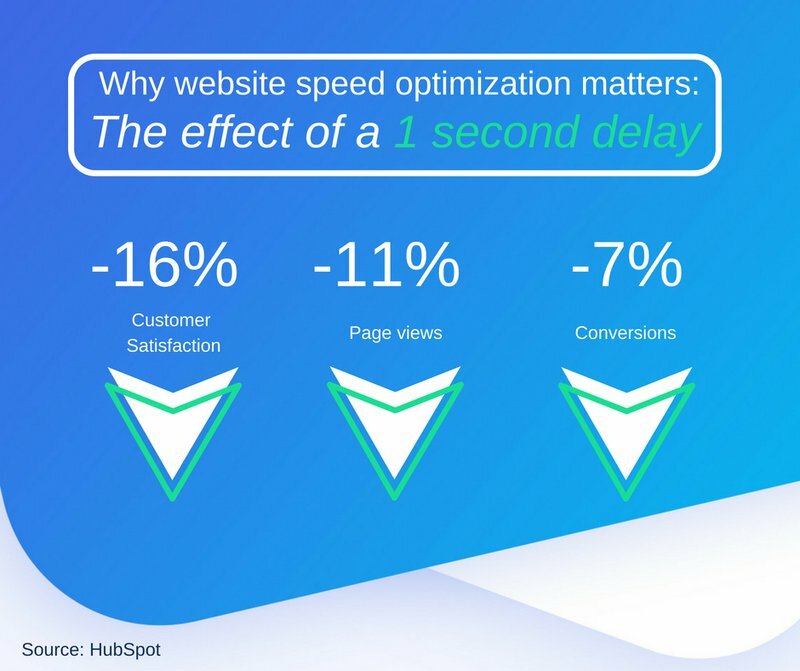 In fact, just a one second delay in loading time can result in 7% fewer conversions, 11% fewer page views, and a 16% drop in customer satisfaction. You never get a second chance to make a good first impression. If your website loads quickly, your customers will appreciate it. But if your speed is lagging behind your competitors, your visitors will take note and may spend less time there as a result. If your website isn’t up to par, fixing the issue isn’t an option if you want your website to continue bringing in the bacon. What Is an Acceptable Website Speed? Speed is subjective, so how do you know what’s acceptable to most users to ensure your site isn’t sabotaging your efforts? Google Engineers say that a load time of 400 milliseconds – roughly equivalent to the blink of an eye – can cause users to search less. Being 250 milliseconds faster than your competitors can help to give you the advantage, according to Microsoft speed specialist Harry Shum. To add a layer of complexity, website speed on mobile devices is becoming increasingly important. According to data from Google, 53% of visits are abandoned if a mobile site takes longer than 3 seconds to load. Users are upping their mobile usage at a rapid pace. We’ve already passed the tipping point where more search is happening on mobile than on fixed connections like desktops, and that trend is continuing to climb. If you’re not sure what your average load time is, it pays to check. Tools like Pingdom or Google’s Page Speed will test your website speed so you know how much of an improvement you need to make. Whatever your current load time is now, keep in mind that faster is always better. Even if you’re already loading faster than an eye blink or quicker than your competitors, striving to load faster will always be a smart investment in your business. Striving to load faster will always be a smart investment. Not all hosts are created equal, and yours could be a culprit behind your slow-loading website. Opting for a mediocre web hosting service can slow down your website, even if it’s perfectly built. It’s important not to compromise on hosting quality – you get what you pay for. Many web designers use high-quality images and scale them down with CSS. However, using this method, browsers still load the image at the full size. If you use an image that is 1000 x 1000 pixels, and scale it down to 100 x 100 pixels, your browser will still load ten times more than necessary. There are ways to work around this problem, such as scaling your images before you upload them to your website. We take a compression approach in our SiteManager platform to reduce the image size without compromising on quality. Even small widgets like the Facebook Like box can burden website performance. Think about the added value of every plugin or widget on your website and whether it’s worth decreasing your page speed in order to install it. If you can remove any plugins without compromising on user experience, do it. What’s two times five? That’s right: 10. You didn’t need to use math to find the answer. You’ve done this calculation so many times you simply remember the result. This is how website caching works. Each time a browser requests a web page, the server needs to make calculations. To make websites load faster, both the server and the browser can be configured to remember the final result. 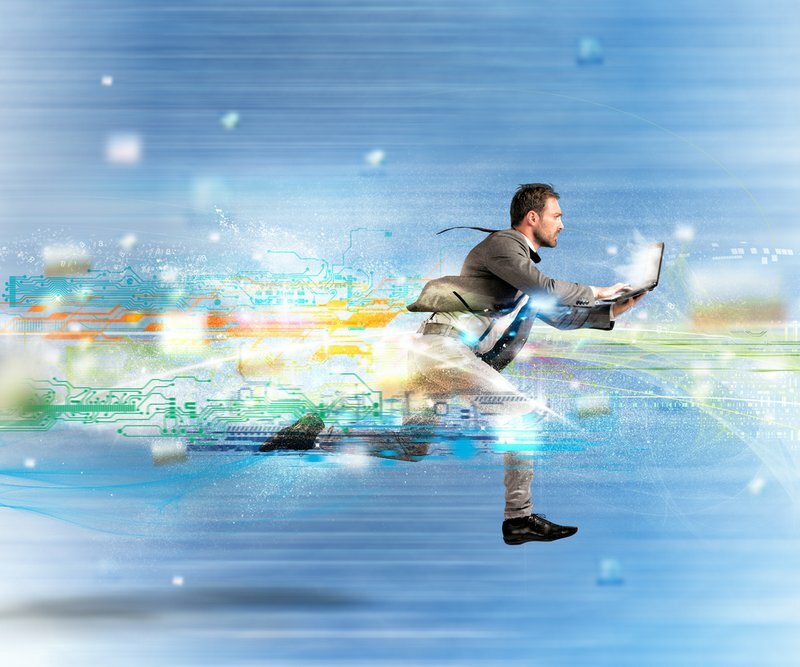 Browser caching can increase website speed immensely! Since more people are visiting websites on mobile devices, websites that are not speed-optimized for mobile will not perform well. As of December 2017, the ranking of Google results is also based on the mobile versions of pages – even for desktop searches. Read our blog on how to optimize your website for mobile devices. Maintaining a fast website is essential for your business, especially in a time where online users demand more of your website. Remember, even a one-second delay can make a lot of difference for your business. It’s in your best interest to periodically test your website speed to ensure it remains as fast and efficient as possible. Using the above suggestions for increasing speed can be helpful, long-term solutions, but staying on top of any changes that could affect website speed can help you keep your website running smoothly at all times. Learn how SiteManager can help you run a fast, efficient website that can help you make a great first impression by attending one of our product webinars or creating a trial account.